specifications. Current characterized errata are documented in the Intel Desktop Board DN2800MT Specification Update. Intel and Intel Atom are trademarks of Intel Corporation in the U.S. and/or other countries. the Intel? Desktop Board N2800MT. 1920 x 1200 to 1920 x 1080. Figure 3 is a block diagram of the major functional areas of the board. N2800 with integrated graphics and integrated memory controller. temperature rating of 85 oC. Table 4 lists the supported SO-DIMM configurations. System memory configurations are based on availability and are subject to change. Figure 4 illustrates the SO-DIMM configuration. interfaces to the processor and the USB, SATA, LPC, LAN, and PCI Express interfaces. The Intel NM10 Express Chipset is a centralized controller for the board?s I/O paths. The board supports graphics through Intel Graphics Technology. interfaces: VGA, HDMI, and Flat Panel Display. 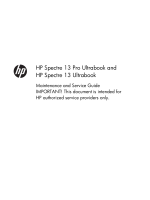 with the HDMI 1.3a specification. HDMI port will behave as described in Table 5. 1200 (WUXGA) at a 60 Hz refresh rate. interfaces. Figure 5 shows the flat panel connectors. native ?screen brightness? control provided by the operating system.
? Flat Panel Configuration Changes Lock: allows the system integrator to ?lock? brightness? adjustment slider under the Windows 7 ?Power Options? control panel). panel is a single-channel or dual-channel display. LVDS channel assignments shall the cable be wired opposite the panel pinout. only), or 18 bpp (eDP and LVDS). is a 1-lane, 2-lane, or 4-lane display. at 1.62 Gb/s or 2.7 Gb/s. frequency and polarity of the panel inverter board. the internal flat panel display and the selected inverter board. spectrum for the LVDS interface. Toolkit or Intel? Integrator Assistant GUIs. 4. Internal flat panel display settings will be preserved across BIOS updates. Four front panel ports (via two internal headers; one header supports an Intel? headers. All ten USB ports are high-speed, full-speed, and low-speed capable. 3 Gb/s. A point-to-point interface is used for host to device connections. 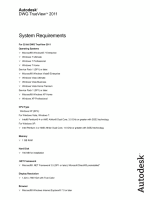 configurations using Windows operating systems. The board supports AHCI storage mode via the Intel NM10 Express Chipset. to update the AHCI drivers to the latest available release. 25 ?C with 3.3 VSB applied via the power supply 5 V STBY rail. battery with an equivalent one. Figure 1 on page 15 shows the location of the battery. ports support data transfers at speeds up to 115.2 kbits/sec with BIOS support. Setup program to set the parallel port mode. Table 6 lists the supported functions of the front panel and back panel audio jacks. The latest audio software and drivers are available from Intel?s World Wide Web site. The available configurable back panel audio connectors are shown in Figure 6.
headphones or amplified speakers only. Poor audio quality occurs if passive (nonamplified) speakers are connected to this output. Figure 5 shows the location of the internal audio headers. Two LEDs are built into the RJ-45 LAN connector (shown in Figure 8). 10 Mbits/s data rate is selected. 100 Mbits/s data rate is selected. 1000 Mbits/s data rate is selected. features, including thermal and voltage monitoring. Figure 9 shows the locations of the thermal sensor and fan header. Note: Depending on power management settings in the operating system. Devices/events that wake up the system? S4 implies operating system support only. Wake from S4 and S5 is recommended by Microsoft. Wake from device/event not supported immediately upon return from AC loss. The fan is off when the board is off or in the S3, S4, or S5 state. The fan header has a +12 V DC connection. The fan header supports 3-wire (voltage controlled) fans. drivers for any installed PCI Express add-in card. from an ACPI S5 state. computer appears to be off. Figure 10 shows the location of the standby power LED. Table 11 lists the system memory map. Figure 12 shows the location of the back panel connectors for the board. Table 12 lists the connectors and headers identified in Figure 13. Table 13 lists the connectors and headers identified in Figure 14.
earlier), as opposed to the ?ODD? channel expected by single-channel LVDS designs. A future motherboard revision (G23738-800 and later) is planned to support singlechannel LVDS connectivity out of the ?ODD? channel. cable wiring matches the target board revision. 500 MB/s concurrent and bi-directional bandwidth. shell is GND. The maximum current rating for this connector is 8 A. (?10%) VDC. The maximum current rating for this connector is 10 A.
drive or optical drive connected to an onboard SATA connector. least two seconds must pass before the board will recognize another on/off signal. Figure 16 is a connection diagram for the front panel USB headers. such as a seven-segment display. specifically designed for thin mini-ITX chassis, compliant with version 2.0 of the MiniITX Addendum to the microATX Motherboard Interface Specification. The standard-height I/O shield provides access to all the same connectors as the halfheight I/O shield while being compatible with standard mini-ITX and microATX chassis. configurations with wireless PCI Express Mini Card solutions. Figure 18 and Figure 19 are I/O shield reference diagrams. microcode version in the BIOS and reports if the two match. CD or flash drive is required. 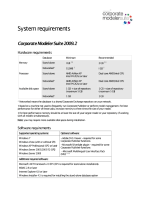 to the microATX Motherboard Interface Specification. The Intel Desktop Board DN2800MT has a 3D view as shown in Figure 22.
to the system integrator for this purpose. in potential damage to the desktop board, power supplies, or other hardware. configuration is properly assessed based on the system-level components chosen. Table 38 lists example power consumption from both the board and typical systemlevel components. Power requirement estimated for 80% VR efficiency. 4W assumption based on varying memory sizes/power consumption (typical for board max of 4GB). internal header ports 5-6, as well as 250 mA on internal header ports 7-8. 10% utilization for Half-Mini Card refers to ~500 mW Wi-Fi card power consumption. 5% utilization for Full-Mini Card refers to ~250 mW mSATA power consumption. 29% utilization for SATA refers to ~5 W slim ODD and ~2.5 W HDD (2.5?) power consumption. Table 39 lists the current capability of the fan header. total power consumption from add-in boards on this slot must not exceed this rating. of all board- and system-level components is required. processor and/or voltage regulator or, in some instances, damage to the board. result in a system with adequate thermal performance. Figure 23 shows the locations of the localized high temperature zones. disk drive region, will be less effective in controlling the local ambient temperature. repair rates and spare parts requirements. The MTBF for the board is 319,009 hours. Table 41 lists the environmental specifications for the board. (tests performed with Morex* T-1620 thin-mITX chassis). EEPROM information, and Plug and Play support. Section 2.4 on page 64 shows how to put the board in configure mode. Table 42 lists the BIOS Setup program menu features. Table 43 lists the function keys available for menu screens. BIOS Recovery without removing the BIOS configuration jumper. Intel web site for support. eight seconds that minimizes hard drive startup delays. resume, the system BIOS will automatically unlock drives on resume from S3. The User hard disk drive password, when installed, will be required upon each powercycle until the Master Key or User hard disk drive password is submitted. drive password will cause a hard disk to be locked upon a system power-cycle. Table 46 shows the effects of setting the Hard Disk Drive Passwords. will continue with normal POST. A manual power cycle will be required to resume system operation. Password Security feature, the drive will not be accessible. Table 47 shows the effects of setting the supervisor password and user password. and can be heard through attached speakers. speaker to beep an error message describing the problem (see Table 48). Note: Disabled per default BIOS setup option. panel power LED to blink an error message describing the problem (see Table 49). Table 50 lists the error messages and provides a brief description of each. I/O Buses: PCI, USB, ATA etc. 0x5F is an unrecoverable error. Start with PCI. consoles should be up at this point. 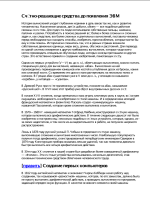 We, Intel Corporation, declare under our sole responsibility that the products Intel? tested as part of a complete AiO system and has not passed the FCC?s cover off test. 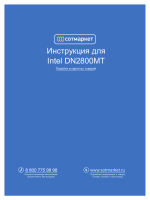 which the Intel Desktop Board DN2800MT is used. residential areas, but also other areas.